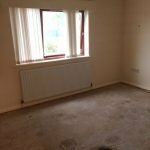 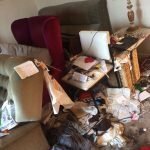 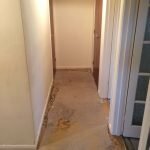 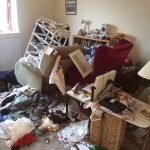 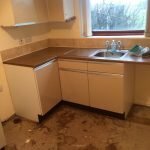 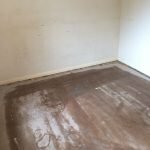 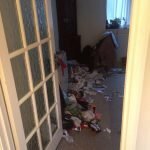 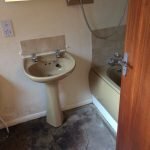 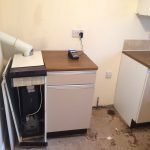 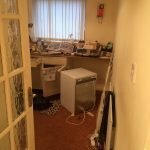 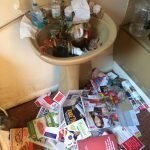 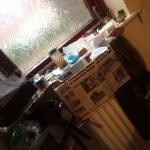 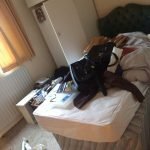 House Clearance Service In Gourock Port Glasgow Quarrier’s Village Wemyss Bay. 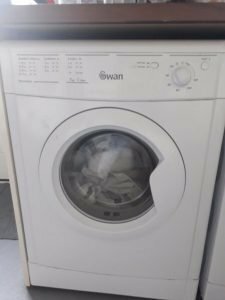 A white Swan 6kg under counter tumble dryer. 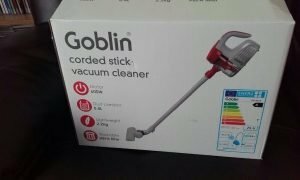 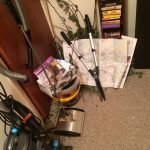 A brand new red and grey Goblin corded stick vacuum cleaner. 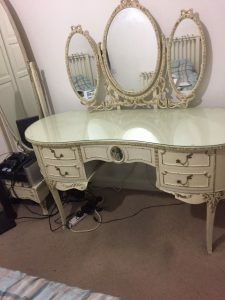 A cream painted solid wood French style dressing table, together with a matching wrought iron tri folding mirror. 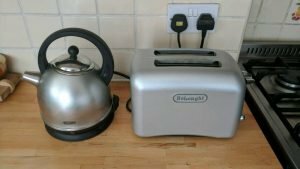 A silver Delonghi fast boiling kettle, together with the matching two slice toaster. 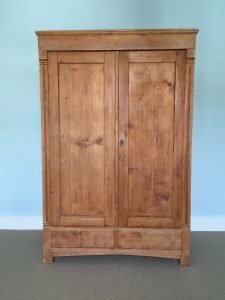 An original solid pine small double wardrobe, having one large drawer to the bottom. 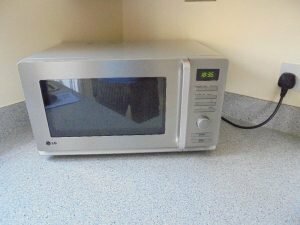 A silver LG 20L microwave oven. 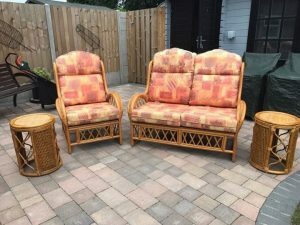 A four piece cane conservatory furniture suite, comprising a two seater high back sofa, an armchair and a pair of side tables. 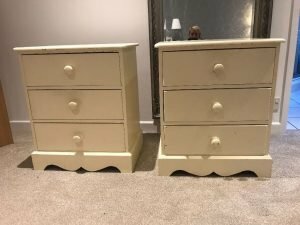 A pair of painted cream solid wood scalloped edge bedside drawers. 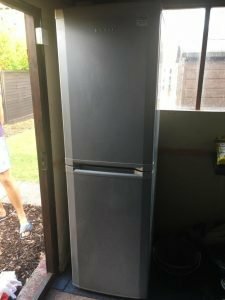 A tall standing Beko slimline silver fridge freezer. 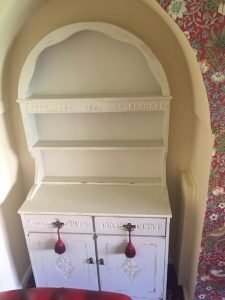 A painted white solid oak two piece Welsh dresser, having two drawers above a double cupboard. 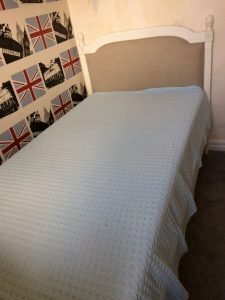 A white painted solid pine single bed frame, together with a single mattress. 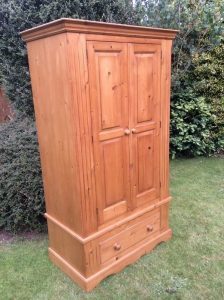 A tall waxed pine double wardrobe, having one drawer to the bottom. 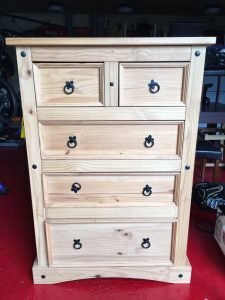 A solid pine light chest of drawers with cast iron mounts, having two small drawers of three large drawers. 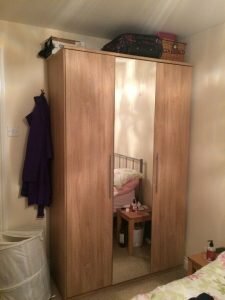 A tall standing mirror inlaid solid wood triple wardrobe. 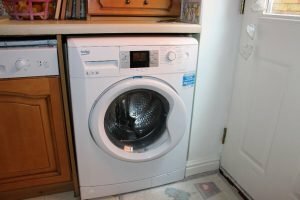 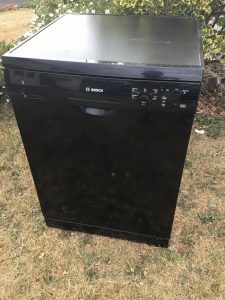 A white Beko 9kg under counter washing machine.